It is well settled that the last of the volume-produced traditional British roadster to be designed was the Triumph TR6. Even in 1969 when it was introduced, it was obsolete. Magazines like Road & Track clamored for better, newer sports cars with modern engines, chassis and unibody construction. Cars that would finally dispense with antiquated features like lever-action shocks and feeble heaters. In early 1975, Triumph finally introduced such a car in the TR7 which would be sold alongside the TR6 for about a year. Dubbed in ads “the shape of things to come,” the TR7 was the most extreme example of the wedge-style then in vogue. Legend has it that the original design was sketched on a cocktail napkin by stylist Harris Mann, perhaps the most unsuccessful portions of the design were the notchback roofline of the coupe and the upswept character line on the side. Power came from a two liter eight-valve overhead cam four of about 100 hp that was oddly enough shared with the Saab 99. Strangely, experiments using the Dolomite Sprint’s 16-valve unit went nowhere. Acceleration was less than brisk, at about 11 seconds 0-60. Suspension design reverted from the IRS of the TR4A-TR6 to a well-located live axle. Although it seemed like a retrograde step, in light of the generally mediocre design of the previous IRS, it wasn’t and the TR7 developed a reputation as a very good handler both on the street and the track—most famously with Bob Tullius and Group 44 Racing. The main reputation the car developed however, was that of a serious lemon. Early cars built in Speke near Liverpool were particularly bad and the plant which was subsequently closed was the epicenter of the self-destructive tactics deployed by British labor in the 1970s. Later cars built in Solihull were considerably better. 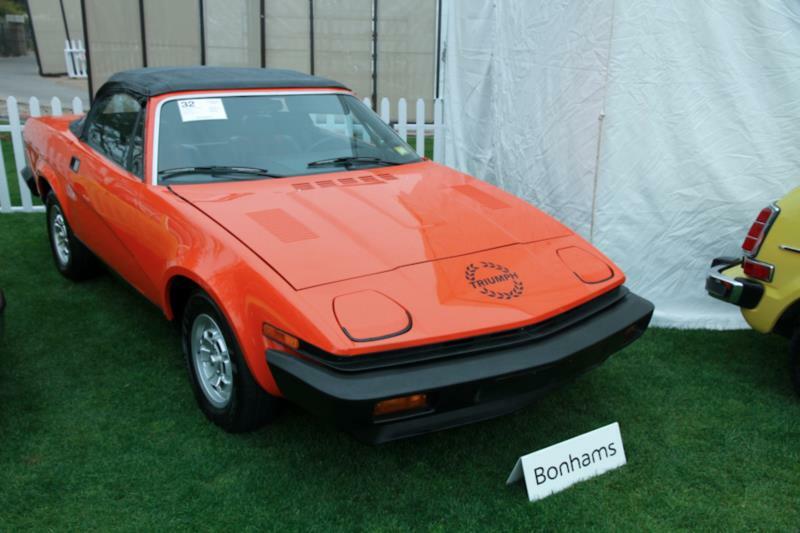 Initially, the TR7 was available only in coupe form because of fears that the U.S. would outlaw convertibles. This never came to pass and in 1979, a drophead version was added. Numerous special edition TR7s were built including the “Victory Edition” with garish stripes and white “spoker” wheels and the altogether handsomer “Spyder” edition with black paint, red accents and TR8 alloy wheels. Individual vices center primarily around the abysmal quality control of early cars. Thankfully, like similarly afflicted early Jaguar XJSs, most of these are gone. The Triumph TR7 suffered the usual rust maladies, though not to the extent of earlier TRs, as well as overheating issues. The four-cylinder engine had head gasket troubles as well. From a parts support standpoint, despite low survivorship, spares aren’t as difficult to locate as one might expect.